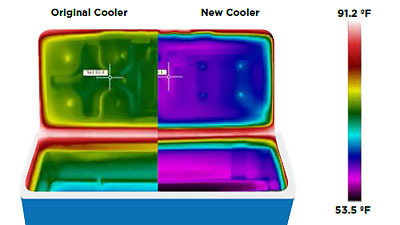 This stylish Coleman Xtreme® 47 litre cooler is filled with Polyurethane foam insulation which will keep the contents cold on ice for up to five days. 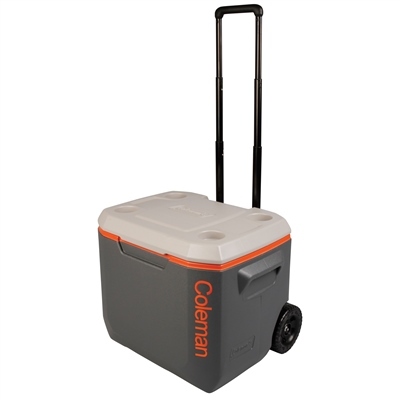 Designed with two sturdy wheels and a telescopic steel handle this cooler is ideal for long road trips, days spent on the campsite and transporting food and drink around festival sites. Along with moulded carrying handles each side, a drain plug in the base to remove ice melt, the robust hinged lid has four beverage holders built in and is strong enough to be used as a seat for up to 113kg.